Studies of kinetics and mechanisms of electrophilic and nucleophilic aromatic substitution and molecular rearrangments. Development of synthetic methods in the chemistry of aromatic, fluoroaromatic, heterocyclic and organoelement compounds. Development ofmethods for the preparation of components for new promising materials. Studies in the area of renewable plant raw materials, firest chemistry, chemistry of natural compounds from plant raw materials of Siberia. Development of technological methods for the preparation of organic compounds. Studies on chemical aspect of ecology. Creation of computer data bases on the molecular spectroscopy of organic compounds and software for the solution of problems associated with the manipulation with structural information. 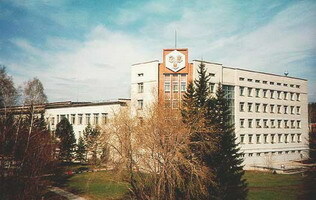 The Novosibirsk Institute of Organic Chemistry was founded in 1958 as a part of reorganization of the Siberian Branch of the Academy of Sciences of the USSR.